Just finished this afternoon, this is the third in my new Landlines series. 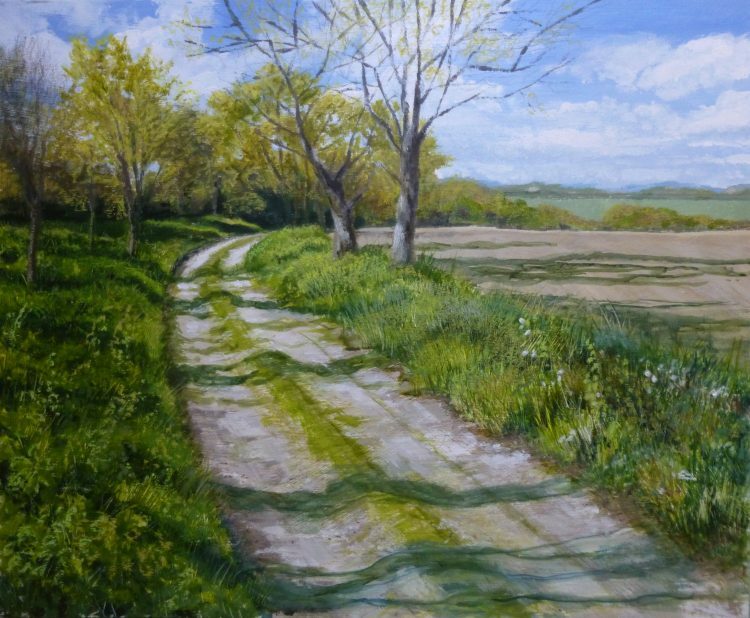 This is the track that leads past the entrance to Hillhouse Wood at West Bergholt – the wood I painted in my 2016 painting project Twelve Months in an Essex Wood. ← A trip around Suffolk – and progress!